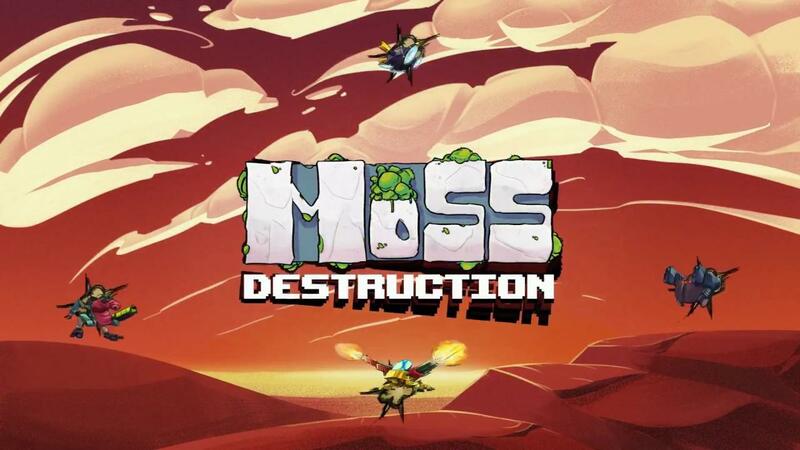 Moss Destruction is an in-development fast-paced shooter with some roguelike elements that could be great when finished. We've decided to support Linux and Mac in the closed alpha stage too - it's better to have feedback asap if there is any platform-specific problem. It's still quite early on in the development process and they're involving players through their Brightlocker page before they release it to the public properly. It's a website I hadn't heard of before, which enables developers to get their game out early-on while they're developing it and get feedback from people. You can buy various rewards (like a copy of the game) or tip developers to help them. They also sent along some keys they said we could give out to our readers, so if you would like to help test and give feedback as it gets further developed, do let us know in the comments. They ask that you join them on their Brightlocker page if you get a key. You can also follow it on Steam. Count me in for helping testing. I'd be happy to join in the beta testing. I've tested several games before including Sunless Skies, Nowhere Prophet and Bulb Boy (which strangely never actually got released for Linux). Looks like fun, shame I don't have the time to help out with testing or I'd be in as well. I'm always in to help a fellow dev porting games to Linux. Looks like it could be my kind of thing. Would love to give it a go. I can test on Intel, AMD, and NVIDIA graphics. Quote We've decided to support Linux and Mac in the closed alpha stage too - it's better to have feedback asap if there is any platform-specific problem. Just more proof that common sense isn't actually that common. lol. Count me in for testing!